Taynuilt Nursery had a fantastic day helping raise funds for the Macmillan Coffee Day. We invited, parents, grandparents, family and friend along and raised an amazing £251.00. Big thanks to everyone who came along and supported us. 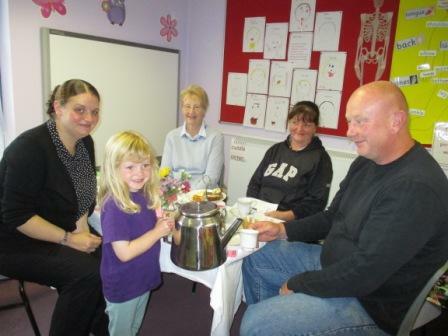 A willing helper serving pretend tea to her 2 grannies and mum and dad.